SK Hynix has updated their memory product catalog which reveals the status of their upcoming HBM and 3D-NAND products. It looks like SK Hynix has changed the launch schedule of many products, including HBM2 VRAM. The latest memory type would be integrated inside AMD’s upcoming Vega graphics cards. AMD and SK Hynix partnered back in 2015 to create the worlds fist GPU with HBM VRAM. AMD is once again going to partner with SK Hynix and utilize their HBM2 VRAM on next-gen Vega GPUs. There have been slight modifications to the catalog. Previously, SK Hynix had listed both 1.6 Gbps and 2.0 Gbps HBM2 for availability in Q4 2016 but that doesn’t seem to be the case anymore. Currently, only one product has been mentioned. The specific part number is “H5VR32ESM4H-H1K” and comes in the 5mKGSD package. This is a part holding a capacity of 4GB on a 4-Hi stack that operates at 1.2V. The package operates at 1.6 Gbps with a total bandwidth output of 204.8 GB/s. There’s no 2.0 Gbps variant listed anymore but we can guess that it would be available in second half of 2017. The 2.0 Gbps should have provided 256 GB/s but it seems like GPU makers using SK Hynix memory have only one option left. AMD’s long term commitment to using SK Hynix as their memory partner would mean that they will utilize the 1.6 Gbps product on their flagship products. While HBM2 is efficient in terms of design compared to the GDDR5 interface, the 1.6 Gbps HBM2 may prove to be slightly slow. 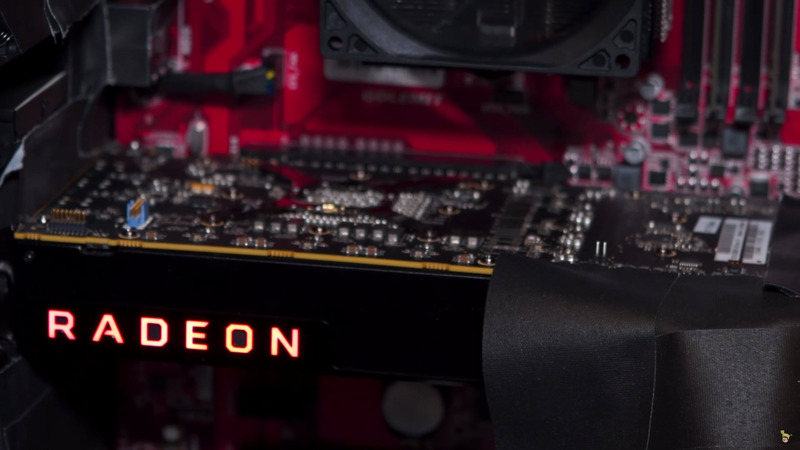 AMD Radeon Vega Graphics Card With HBM2 Bandwidth To Be Lower Than Titan X With GDDR5X? Some calculations reveal that the Radeon Vega graphics card with HBM2 will feature a lower bandwidth than the competing enthusiast product. The card will be considered flagship by AMD and NVIDIA’s flagship right now is the Titan X (Pascal). 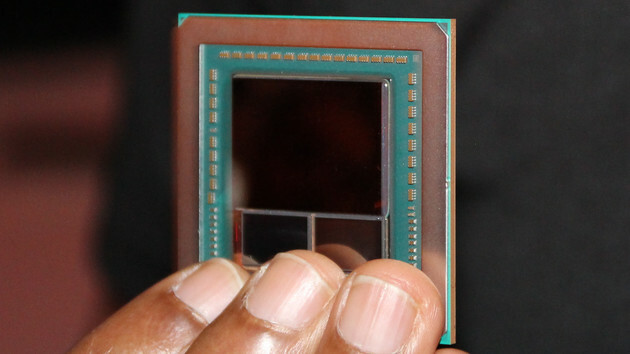 This card features a memory bandwidth of 480 GB/s on a GDDR5X interface that carries a 12 GB VRAM buffer. We know this as fact that Vega GPU comes with two HBM2 stacks that are 4-Hi configured and hold 4GB capacity. This would indicate that the card would feature up to 8 GB VRAM until higher density memory or more number of stacks are available on the HBM2 products. This also gives us a total bandwidth of 409.6 GB/s which is lower than AMD’s first generation HBM product, the Fury X, which operated with a bandwidth of 512 GB/s. Since AMD plans to launch Vega in the first half of 2017, they really have no other choice than to ditch their partner and go with Samsung who currently produces higher capacity and faster HBM2 products and has already shipped them to NVIDIA inside the GP100 GPU. Aside from graphics memory, SK Hynix has also confirmed that they are on schedule in terms of NAND V4 product availability. SK Hynix has reaffirmed that they will give priority to NAND Flash based products over DRAM but that doesn’t mean that they will entirely exclude DRAM production for storage devices. 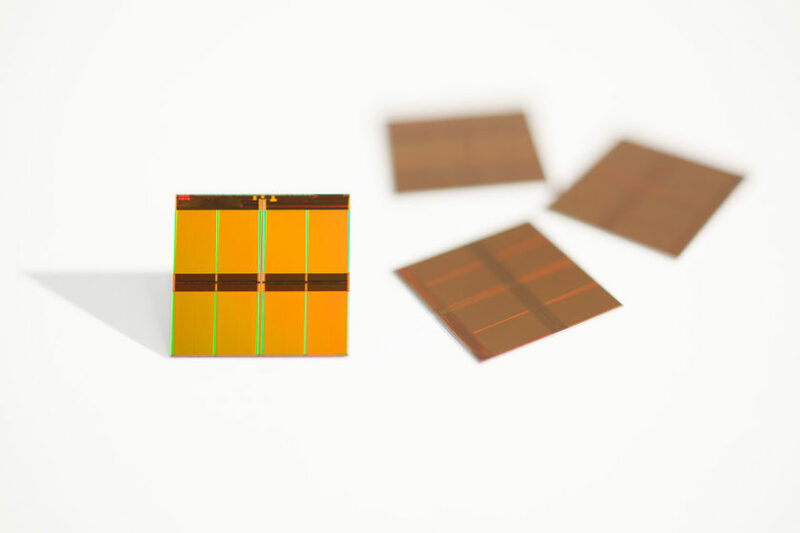 They will release the 1XNM (<20nm) which will improve capacity and reduce production costs. As for 3D-NAND V4, SK Hynix will have several products ranging from 256 Gb and up to 4096 Gb available in Q2 2017. SK Hynix will also have up to 8 Gb models available later in Q4 2017. Since these are packaged in a total of 72 layers, we will be looking at capacities of 32 GB and 64 GB in the base models of 256 Gb and 512 Gb. In the top models which come in sizes of 4096 Gb and 8192 Gb, we are looking at capacities of 512 GB and 1 TB. Memory discussion has been a hot topic since the arrival of new standards in the last few years. HBM2, G5X have picked up the game in the graphics department while DDR4 and NVMe storage are becoming a common sight in the PC space. Expect more details on HBM2 based products in the upcoming months.